Awaken your Third Eye. 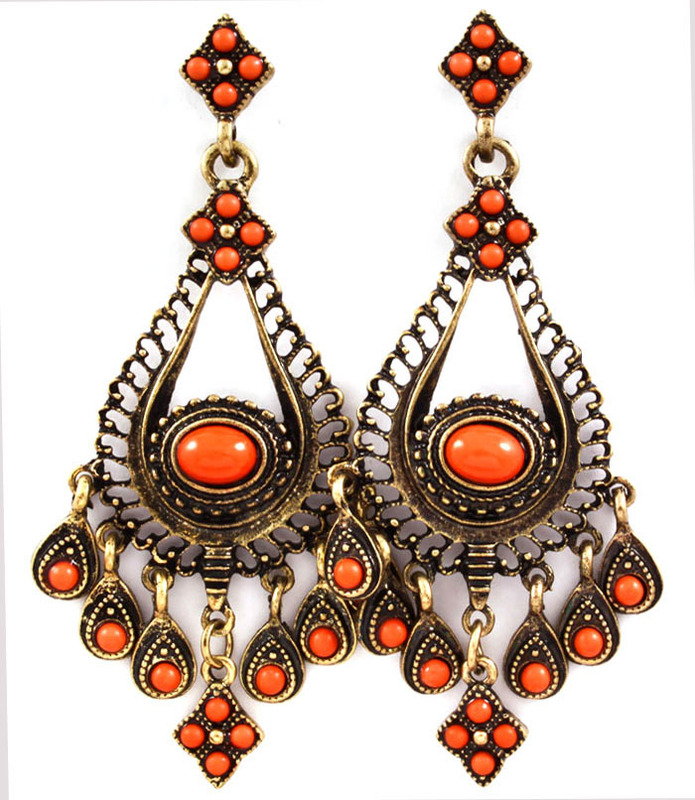 The Kanika Earrings take inspiration from the Indian sunset with tangerine stones decorating hanging pendants and an intricately designed antique gold framework. A free-spirited jewel for the day and night. Shop from Australia's largest range of fashion earrings online here and now! .